Items from the single-owner collection of Peggy and David Rockefeller – members of one of the most important and wealthiest families in American history – will be sold at public auction on Saturday, June 2nd, by Nadeau's Auction Gallery. 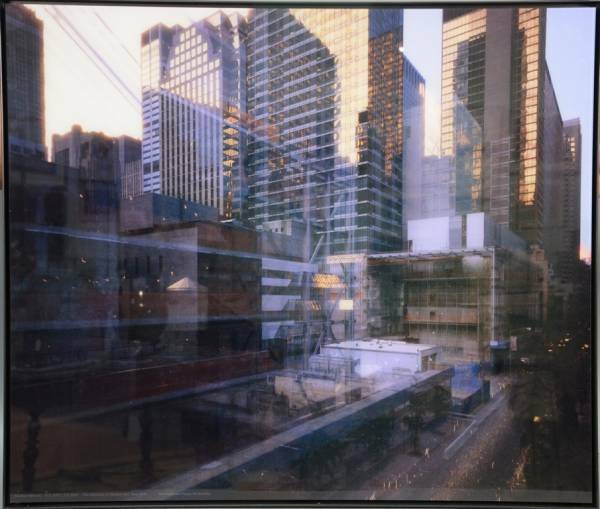 One of several Michael Wesely color print photos housed in steel frames. WINDSOR, Conn. - May 14, 2018 - PRLog -- Items from the single-owner collection of Peggy and David Rockefeller – members of one of the most important and wealthiest families in American history – will be sold at public auction on Saturday, June 2nd, by Nadeau's Auction Gallery, online and at Nadeau's showroom located at 25 Meadow Road in Windsor, beginning promptly at 11 am Eastern time. Around 635 lots will come up for bid, to include artworks by Pablo Picasso and Michael Wesely, Chinese and Japanese antiques and objects, many personally inscribed items (such as jewelry, crystal, silver, bronzes, paintings, lithographs and engravings) and furnishings, including French, Georgian and contemporary. About 100 items are monogrammed or inscribed for Rockefeller. "This is a great opportunity for everyone to take part in, and potentially own, a piece from one of America's most prominent families," said Ed Nadeau of Nadeau's Auction Gallery. "Many of the Rockefellers' higher-end pieces were recently sold at a series of auctions through Christie's in New York, but in this sale a variety of items will be selling for between $50 and $20,000." For those unable to attend in person, online bidding will be provided by LiveAuctioneers.com, Invaluable.com and Bidsquare.com. Phone and absentee bids will also be accepted. A special wine and cheese preview will be held on Thursday, May 31st, at Nadeau's gallery, from 4-6:30 pm Eastern. Previews will be held Wednesday-thru-Saturday, May 30-June 2, or by appointment. David Rockefeller was an American banker who was chairman and chief executive of Chase Manhattan Corporation. He was the oldest living member of the Rockefeller family and family patriarch from August 2004 until his death in March 2017. He and his wife Peggy (who died in 1996) were philanthropists and lifelong patrons of the arts. This is reflected in their collection. Pablo Picasso and Michael Wesely are the auction's headliners. Several aquatints by Picasso – rare examples from an original set of twelve copies (#3 of 12) of La Tauromaquia: Muerte del Toro, hand-signed and numbered by the Spanish-born master himself, are expected to attract bidder interest. They still have the original "Collection of David Rockefeller" inventory label. Michael Wesely (b. 1963) is a German art photographer, known for his photos taken using a special, ultra-long exposure technique. Several lots of his work are in the sale, all color print photos in steel frames, titled "The Museum of Modern Art MOMA in New York City Under Construction" written by Wesely across the bottom. They're big: one is 55 inches by 40 inches. • A drypoint etching with collage and opaque white by Francis Alys (b. 1959), titled The Modern Procession, showing one figure holding a Museum of Modern Art Queen's ticket and another holding a MOMA sign; numbered 25/60, signed lower left, 11 ¾" by 17 ¼". • A pair of watercolor paintings by Brion Gysin (1916-1986), one a Moroccan scene titled Just Waiting (6 ½" by 10" sight), the other a landscape titled Blenching Beaches (6 ½" by 9 ¾" sight), both having the "Collection of David Rockefeller inventory label on verso. • A watercolor painting by Paul Lucien Maze (1887-1979), titled Coronation for Abby 1953, acquired by the Rockefellers as a gift directly from the artist in 1957, with "Abby" being the nickname for Abigail Aldrich Rockefeller, measuring 24 ½" by 33" sight. Gorgeous decorative accessories will be offered in abundance. These include a pair of Sevres Mahieddine Boutaleb powder blue and gilt porcelain vases, both 14 ½ inches tall, having blue ground with gold painted decoration; a pair of Murano art glass ducks, each one 11 ½ inches tall; and six box lots of crystal and glass stem wine glasses, water goblets and other lovely examples. Also up for bid will be a set of twelve early 19th century crystal cylindrical finger bowls, having a heavy gilt and painted laurel pattern rim over a diamond cut body, as well as a rectangle panel decorated with polychrome enamels showing classical vignettes of water gods, goddesses and sea creatures. The circa 1820 bowls have a height of 3 ½ inches and a diameter of 5 ¾ inches. The Asian portion of the sale's catalog includes a silver plated copper vase by the Korean artist Chunghi Choo (1938-1985), #3 from an edition of 35, 20 ½ inches tall; and a large Chinese Fahua rectangular censer, boldly decorated with large lotus blossoms against foliate ground, having a hardwood carved rectangular cover, on a pierce carved hardwood base, 12 inches tall. Also from the Orient is a handsome Chinese hardwood altar top stand with a reticulated carved gallery, 7 inches tall by 13 ½ inches in width; and an untitled mixed media on paper by Toko Shinoda (b. 1913), artist signed lower right with a total sheet size of 25 inches by 17 ¾ inches. The furniture category will be highlighted by a Queen Anne walnut veneered dressing table with inlaid top and an overall height of 28 ½ inches. Also made of wood (but not a piece of furniture) is a large, turned bowl, or vase, made from ash leaf maple by Philip Moulthrop (b. 1947), 6 ½ inches in height, artist signed, with "David Rockefeller, June 12, 2005" written on the bottom. For a preview appointment, you can call or e-mail Nadeau's at 860-246-2444 or 860-524-8666; or, you can e-mail them at info@nadeausauction.com. Nadeau's Auction Gallery is always accepting quality consignments for its sales, held throughout the year. To consign an item, estate or collection, you may call them at (860) 246-2444, or e-mail them at info@nadeausauction.com. For more information about Nadeau's Auction Gallery and the Saturday, June 2nd sale of items from the collection of Peggy and David Rockefeller, please visit www.NadeausAuction.com.